Are the elderly allowed to drink coffee? Is it beneficial to their health? Too much coffee in a day could cause us restlessness, nervousness, and even insomnia. If we drink coffee late at night, we would probably have a hard time sleeping. Once we make it a habit to drink coffee with too much sugar or loads of creamers, we might end up acquiring diseases like diabetes. Drinking a cup of coffee, which has not been loaded with fatty creamers and lots of sugar, can significantly decrease the possibility of the development of Type 2 Diabetes. Even decaffeinated coffee has this similar effect. This is possible because coffee has polyphenols- molecules which have antioxidant properties which help prevent anti-inflammatory illnesses. Additionally, coffee has high magnesium and chromium which also lower the risk for this disease. Black coffee protects our liver from fatty liver diseases and liver cirrhosis. The compounds in coffee preserve tissues in this organ and they help in lessening the scarring of liver tissues. Meanwhile, consuming coffee with lots of milk, sugar or artificial sweeteners and other additives can bring harm to our liver instead of good. So to experience these health advantages to the liver brought by coffee, we have to drink pure coffee or if we want it sweetened, one with minimum sugar. 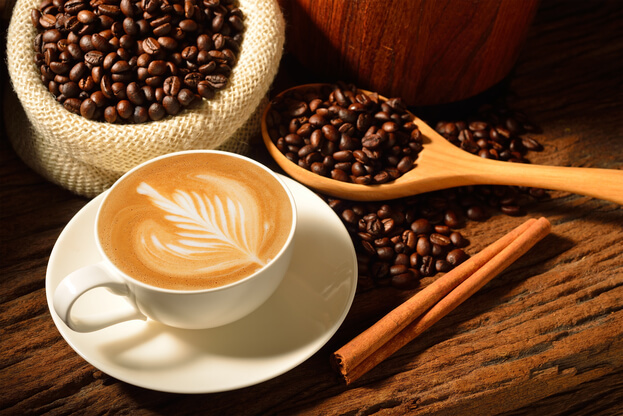 As a stimulant, coffee can provide the elderly who need Home Health Care in Worcester, Massachusetts a quick energy boost. This drink can also increase alertness and endurance; so if we plan to exercise and workout, coffee can be a good beverage before engaging in these activities. Nonetheless, we should limit our coffee intake to 1-4 cups because drinking more than this number can lead to restlessness and sleep disruptions. The Chlorogenic acids (CGAs) in coffee positively affect our blood sugar metabolism and high blood pressure which are directly related to the decline of our mental health due to aging. Caffeine also interacts with adenosine receptors, and this result to better sleep and improved brain function among coffee-drinkers. Alzheimer’s disease and dementia are caused by the gradual and abnormal inflammation in the brain. This inflammation is hastened when we reach the age of 65. But when we drink coffee, the risks to these conditions are decreased because caffeine blocks brain inflammation. Coffee used to be infamous because of its alleged adverse effects on our health. But recent researches and studies have paved the way for its recognition as a healthy beverage even for the elderly. If you want to add coffee to your diet or if you want to increase your coffee intake, make sure to talk to your doctor first. It’s best to get medical advice before you drastically change your established daily meal plan. This entry was posted in Home Health Care and tagged coffee benefits, compassionate support, Health Care, mental health. Bookmark the permalink.